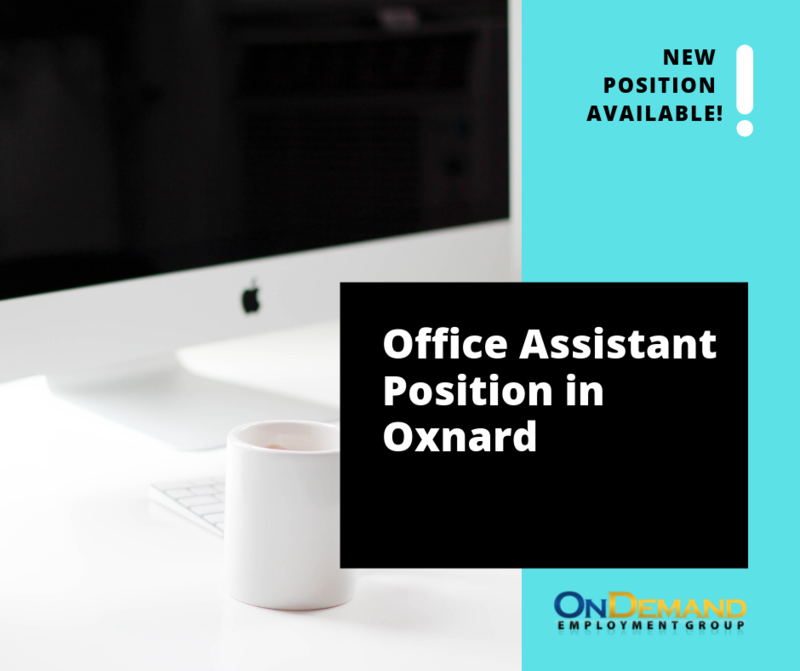 We're looking for an Office Assistant for one of our preferred employers! Position is full-time, $15-18/hr, in Oxnard CA! Growing local company is now hiring an Office Assistant/QuickBooks. 2 years of experience with QuickBooks, Quicken. Answer	phones, take messages, and all office duties. Experience with purchasing electronic components is a PLUS not Required.